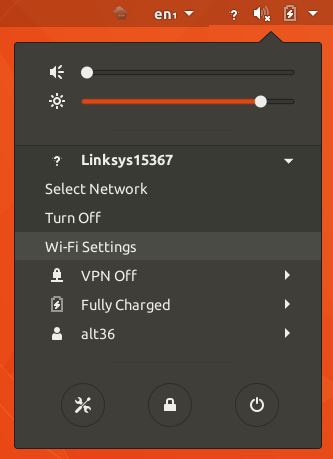 The following screenshots/instructions were written for Ubuntu 17.10, but should require little or no modification for any Linux computer which uses Network Manager. 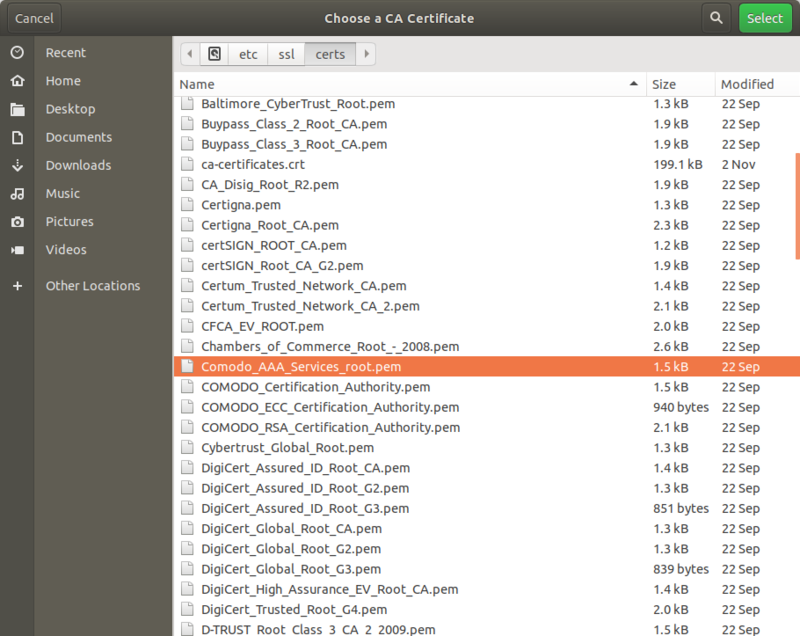 To connect to ChemNet you will need your ChemNet credentials (crsid and ChemNet token). 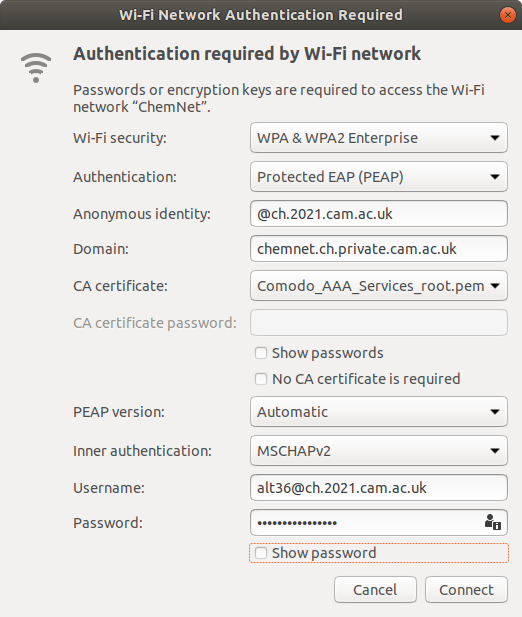 You can get your token from https://apps.ch.cam.ac.uk/ssms/collectchemnet if you know your Raven password and are registered in the department database. 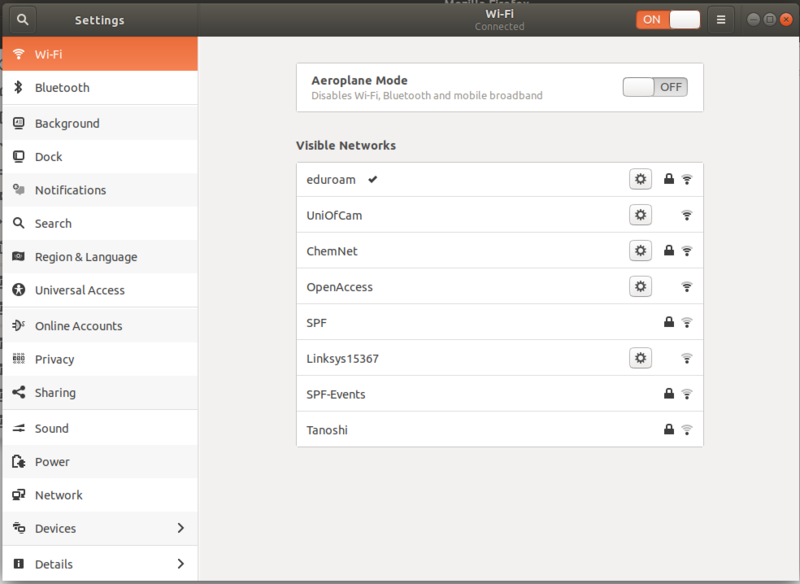 Select the IPv6 Settings tab.